AR Sports announced today that one of its patent applications for Fantasy Sports Platform with Augmented Reality Player Acquisition (Publication Number US 2018/0036641 A1) has been published. Lenny Parisi, Chief Executive Officer & Founder of AR Sports stated, "We are extremely excited for this important step in building our intellectual property. Our team has been working hard to complete the software platform and applications and continues to integrate the augmented reality advertising system." The company expects to launch the completed version, revolutionizing the fantasy draft and player acquisition experience, in time for the upcoming 2018 NFL Football season and is currently in discussions with potential partners. In addition, the company is working on completing the platform for other sports. The platform will provide for both traditional season-long fantasy sports leagues as well as a week-to-week fantasy sports challenge. Participants in all leagues will use augmented reality to create and complete their roster (the “AR Sports system”). The system also has a dynamic Augmented Reality Advertising module which will enable advertisers to target participants using their geolocation in relation to stores, restaurants, and businesses. In addition, the system will be able to incorporate independent Augmented Reality logos that, if captured, give members coupons or promotions to their brands. 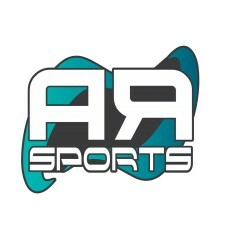 AR Sports (www.arsports.com) is an Augmented Reality Fantasy Sports system designed to keep the traditions of fantasy sports while shifting player acquisition to augmented reality. The patent published software system is designed to work for all professional and amateur sports with fantasy affiliations. The AR Sports system can be integrated into existing fantasy sports host sites or as a stand-alone app. Augmented Reality Fantasy Sports is intended to promote active play by incorporating participants' existing locations with geo-location technology. The software consists of patent-pending interactive advertising via Augmented Reality that lets advertisers quantify views, interactions, and redemption of advertising promotions.